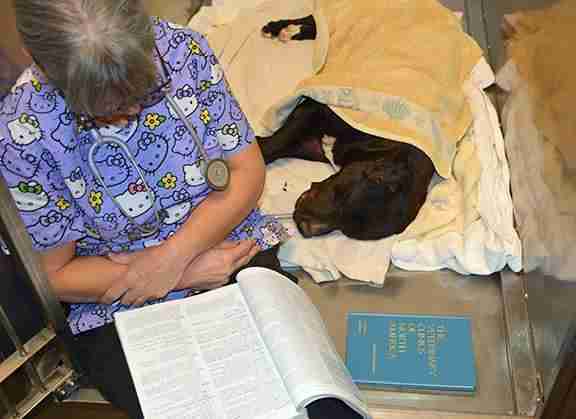 A dedicated dog is recovering from injuries he sustained while faithfully protecting the body of another canine. 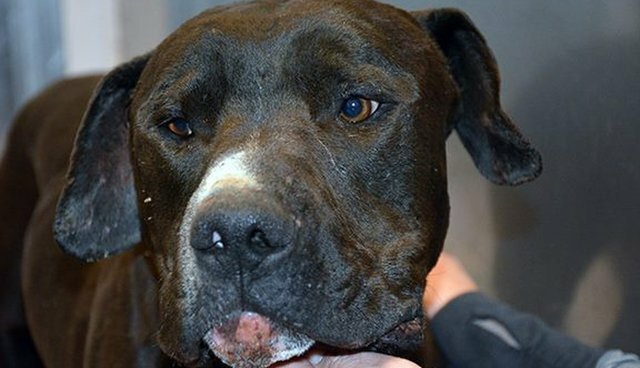 According to the Santa Fe Animal Shelter & Humane Society in New Mexico, the stray dog, named Patrick, had multiple bite wounds on his face and body when he was picked up by animal control on Saturday. Nearby, his companion laid lifeless, believed to have been hit by a car. Patrick had reportedly been there for several days guarding his fallen friend from predators. "Animal control officers told us he was hurt defending against coyotes, which are common here," shelter staffer Ben Swan told The Dodo. "He's got really extensive injuries, so it's obvious he had a fight." Patrick underwent surgery to treat his many injuries, which left him barely able to walk, but caregivers are optimistic about his recovery. 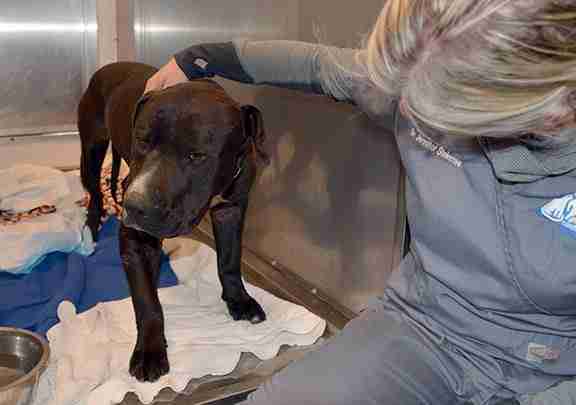 Days after the heartbreaking ordeal, the dog has even begun to open up, showing himself to be a remarkable dog for more than just his loyalty. "It's definitely a moving story, but when you meet the dog in person, he's so sweet and so gentle and has the kindest, most gentle demeanor," shelter director Evelyn Viechec told The Dodo. "That just makes him even more of a special guy." Within the next few weeks, the shelter says they will begin looking for a loving home for Patrick. Hopefully, his unseen wounds will heal, too, by forming another bond with a family. "Dogs are loyal to humans and their friends. They want to make sure that everything is OK," said Swan. "They really do care and are concerned about their buddies, whether they're two-legged or four-legged."